The study also found spinal manipulation modestly improved function. On average, patients reported greater ease and comfort engaging in two day-to-day activities — such as finding they could walk more quickly, were having less difficulty turning over in bed or were sleeping more soundly. It’s not clear exactly how spinal manipulation relieves back pain. But it may reposition the small joints in the spine in a way that causes less pain, according to Dr. Richard Deyo, an internist and professor of evidence-based medicine at the Oregon Health and Science University. Deyo wrote an editorial published along with the study. Another possibility, Deyo says, is that spinal manipulation may restore some material in the disk between the vertebrae, or it may simply relax muscles, which could be important. There may also be mind-body interaction that comes from the “laying of hands” or a trusting relationship between patients and their health care provider, he says. 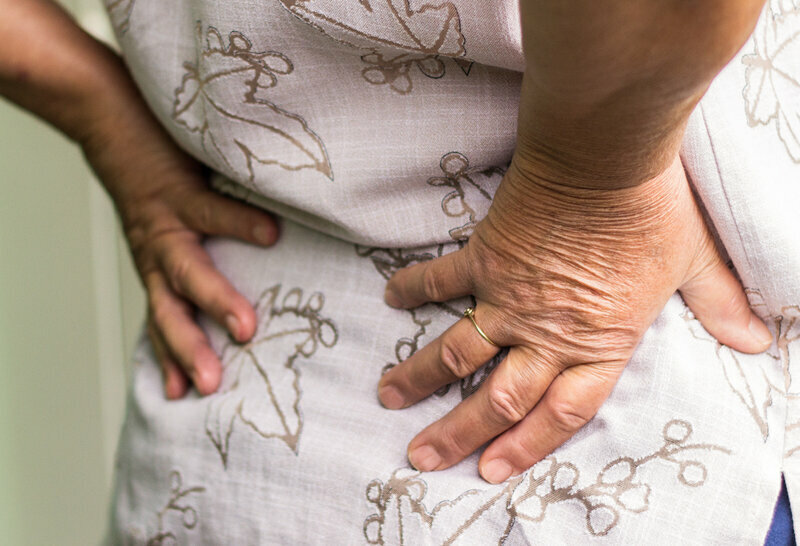 Deyo notes that there are many possible treatments for lower back pain, including oral medicine, injected medicine, corsets, traction, surgery, acupuncture and massage therapy. But of about 200 treatment options, “no single treatment is clearly superior,” he says. The findings of this study may slightly shift that evaluation of benefits. The findings are in line with guidelines the American College of Physicians released recently. Those guidelines suggest people with low back pain use techniques that may help speed up the healing process, including heat wraps, massage, acupuncture and spinal manipulation. The bottom line message, says Deyo, is to try to avoid medication. Medications can cause gastritis, an upset stomach and a rise in blood pressure. And if patients are prescribed stronger medication, such as opioids, they risk long-term use and even addiction. Dr. Steven Atlas, an internist and associate professor at Harvard Medical School who practices at Massachusetts General Hospital, says the study offers “more support for alternative treatments,” particularly for patients who are not getting better with self-care techniques such as heating pads, exercise and yoga. Atlas says further research could help identify patients who would benefit most from spinal manipulation therapy. This could make it easier for doctors to refer patients for treatment by a chiropractor or physical therapist, he says.